How Do I Determine My Average Booking Fee? What is an Average Fee? The Average Fee is the average amount you want to be paid to post sponsored stories across your social media channel(s). 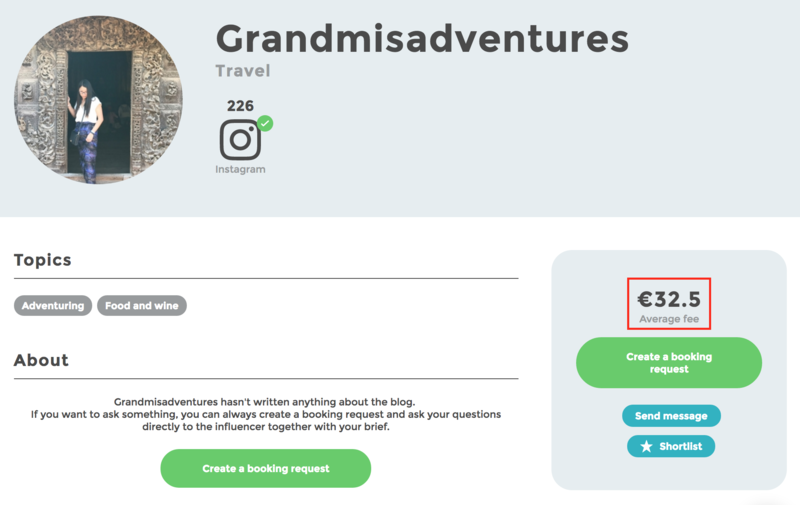 Your average fee is visible to the brand when they search for influencers and make booking requests. When the brand creates a booking request, they set a budget based on the average fee that you have set. The budget may be higher or lower than your average fee depending on the scope of the booking. It is up to you to decide if you are willing to accept the deviation. You can accept or decline any booking requests received, or you can negotiate the terms of the booking. If you haven't worked with brands before, we recommend that you set a low average fee to start with. A low fee may help you attract more brands as you get started on inzpire.me. You can also look at what similar influencers in your country have set as their average fees and determine your average fee accordingly. You can change your average fee under Profile in the menu on the left-hand side of the webpage. Click on Edit Profile in the right corner of your profile. Change the rate by typing in the number you want to set.